and your rights as a parent? Our legal team gets ready for battle quickly. We work meticulously to prepare you for conflict and neutralize your spouse’s plans and strategies. 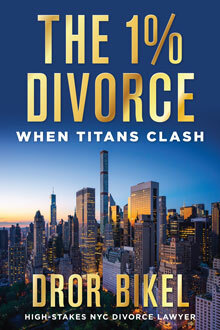 Bikel & Schanfield is a first-tier Manhattan based divorce and matrimonial law firm that represents New York professionals, entrepreneurs, high net worth individuals and their spouses. Our clients face complicated financial and child custody issues. Take the First Step and Learn What to Expect. A "typical" New York City divorce involves an apartment or house that constitutes the primary residence, savings, retirement assets, cars, mortgages, and other debt. Bikel & Schanfield valuation experts work to reduce the value of a business when the other spouse attempts to inflate its value. In other cases, when the opposing side tries to minimize its value we break through the corporate, tax, and partnership shields to determine the real value of the business. Our forensic accountants are adept at locating undisclosed and hidden assets, determining actual expenses, and tracking money flows. You can rely on our decades of front lines experience to organize and present complicated financial matters during both negotiations and trial. 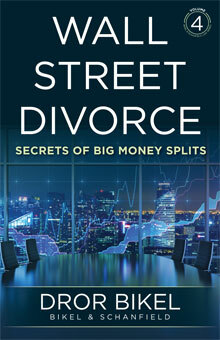 Considering Divorce? Confidential Preparation is Critical. Learn your Options. Disputes over child custody are, understandably, the most emotionally taxing aspects of a divorce. Every New York divorce is unique when it comes to child custody issues, so we retain the best experts, including medical and educational professionals, religious practice specialists when needed, and a robust roster of other professionals to maximize our outcomes. We win the most favorable outcomes for our clients by extensive preparation for custody battles. This includes preparing clients thoroughly for forensic psychological evaluations by court appointed evaluators. Already in a Custody Fight? Or, Just Want to Know What Might Happen? Do you have a high visibility career or social position? We focus on discretion and finesse. 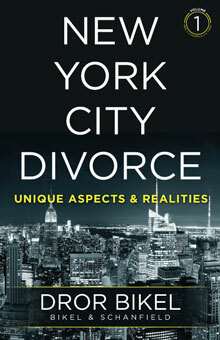 New Yorkers engaged in high visibility occupations or who belong to well-known families require divorce lawyers who understand their risks to reputation and career, and the unique child custody issues that accompany wealth and visibility. Each of these professional and economic categories raises unique legal issues including social equity, brand value, delicate high value contracts, global residences, worldwide assets, public and commercial reputation, and travel frequency. We have experience with and anticipate the unique challenges of the wealthy and the visible, and their spouses and children. We understand that difficult and turbulent times can make quick action difficult and stressful. However, your spouse's legal team may very well be working against your interests. We can tell you what to expect while our meticulous preparation and laser focus on anticipating and countering your spouse's strategies will give you immediate peace of mind. We Represent YOUR Interests and protect your finances, assets, and rights as a parent.